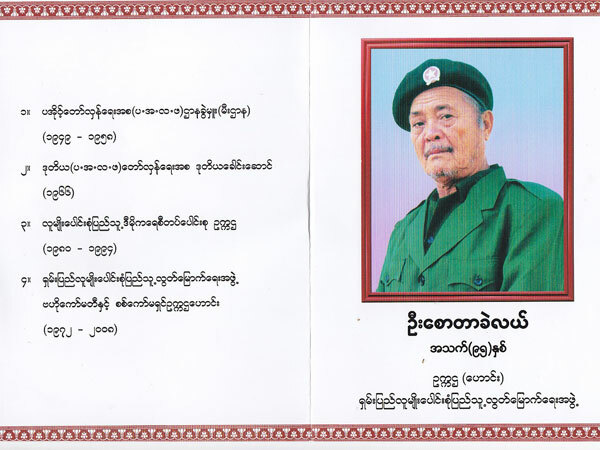 Chiang Mai (Mizzima) – Saw Tarkele, 95, the former Shan Nationalities People’s Liberation Organization (SNPLO) chairman, died in his home in Taunggyi on Monday. He entered into ethnic politics when he was just 16 and he worked in the SNPLO until 2008. Major Sai Lin Htut, who worked as his secretary, said Saw Tarkele was baptized in early 2010 and his remains will be buried at a Baptist cemetery in Taunggyi on Saturday. 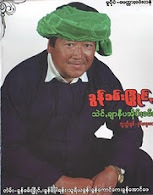 Saw Tarkele who was popularly known as leader of Red Pa-O was born in Bawgli in Taungoo Township. He was the youngest among five siblings. His elder brothers Bo Special and Bo Thar Mawsi were also revolutionary leaders. He joined the Pa-O revolution when he was 16. His name, Saw Tarkele, means “the youngest son” in the Karen language. People called him Saw Tarkele by mistake when he joined the revolution, Naw Shee Lar said. He was respected as a revolutionary leader. During the negotiations for a cease-fire agreement with then military intelligence chief former General Khin Nyunt, Tarkele developed good relations but he never used the friendship for his personal benefits. The SNPLO reached a cease-fire agreement with junta in October 1994 and had about 3,700 personnel at that time. It split into three smaller groups when Chief of Staff Khun Chit Maung purged many experienced and seasoned leaders in the organization in 2003. These three groups were a Naung Htaung-based group led by Saw Tarkele; the group led by Khun Thu Rein, which went underground again in 2007; and a group led by Khun Chit Maung, which surrendered to the military regime. In the beginning of the Pa-O revolution, Aung Kham Htee accused him of being a Communist and then they were split into two groups popularly known as Red Pa-O and White Pa-O. Saw Tarkele was popularly known as Red Pa-O's leader. He was section chief of the Pa-O Liberation Organization (PLO) at the beginning of the Pa-O revolution during 1949-1958. He became second leader of the PLO and chairman of the All Nationalities People’s Democracy United Front from 1970 to 1994. His wife is Nan Aung. He had two sons and four daughters. He is survived by three daughters and 17 grandchildren.